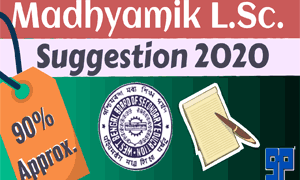 Download “Madhyamik Life Science Suggestion 2020″ PDF for well Exam Preparation. It will surely help you to be prepare yourself minutely in the West Bengal Secondary Examination 2020. 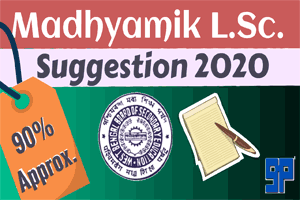 Read the following guidelines about Madhyamik 2020 Life Science Suggestion. Duration of the Exam: 11.45 a.m. to 3 p.m.
Download Madhyamik 2020 Life Science Summative Exam Syllabus and Marks Distribution. 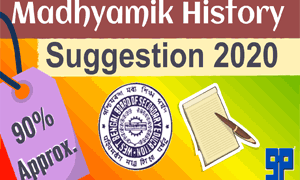 We, the SuggestionPedia provided Madhyamik WBBSE Board suggestions since 2013. We try to give our best. We surely assure to all the students our suggestions accuracy. We can not tell you that this suggestion will be common 100%. Originally what percentage I say about that is 60% or 80% or 90%, definitely that percentage will be common surely. We print exact percentage on every Suggestion Cover Page. All the Madhyamik candidates which are first to prepare such kind of important examination in their life. So it is usual that will be frightful to every students. But Being honest we recommend them not to be afraid but be practical enough.We provide not only Bengali Subject Suggestion but also all Subjects Suggestions. We provide West Bengal Madhyamik and Higher Secondary suggestions plus Study Materials. We had been receiving good response from all the students in West Bengal.Prepare yourself enough, read according to the daily routine. Not to waste any one minute in this stage because this year is very much important in your life. You easily will get anything which you want but surely these days will never come in your life. Contact with us to get Madhyamik all Subjects 2020 Suggestions Printed Copy at your home. Hi ! I am Rupam from India. [ Blogger, Web Developer and Teacher ] [ Eng. Hons,; M.A. ; PGDCA] Location:: Ghatal, Paschim Medinipur, West Bengal. 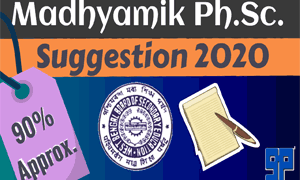 2 Responses to "Madhyamik Life Science Suggestion 2020 PDF Download | 90%"
Got the Life science MP suggestions via e.mail. service is satisfactory.